Lettice Curtis was a record maker and rule breaker who had a long association with the south coast. From her first flying lessons in 1937 at Yapton Flying Club, based at Ford, near Chichester, to her 1976 flight from the Isle of Wight to India ferrying a Britten-Norman Defender, she had a varied and fascinating life aloft.Her first visit to Hamble airfield was when she took the designated cross-country route from Croydon for her flight test, to gain her pilot’s licence. Having got her ‘B’ licence in 1938 she got a pilot’s job with C.L. Air Services. Charles Lloyd was under contract to Southampton based mapmaker Ordnance Survey, to take aerial photographs for mapping. C.L. Air Services was based in Eastleigh. At the outbreak of WW2 all aircraft were grounded and Lettice was jobless. However, Ordnance Survey took her on in the research department. She assisted with map drawing from aerial photographs. During this time she had a room in the Southampton Royal Hotel. There she stayed until June 1940 when she got a call from Pauline Gower to join A.T.A. In September 1941 the A.T.A Women’s Ferry Pool was opened at Hamble and Lettice was posted there, with Margot Gore in charge, and Rosemary Rees as Margot’s deputy. 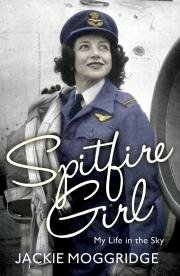 That’s when they became Spitfire Girls, flying Spits from Southampton, as fully described in the book of the same name by Jackie Moggridge. An Isle of Wight aircraft that Lettice and the other Spitfire Girls had to fly was something akin to “flying a brick”, to quote Mary Wilkins (Ellis). 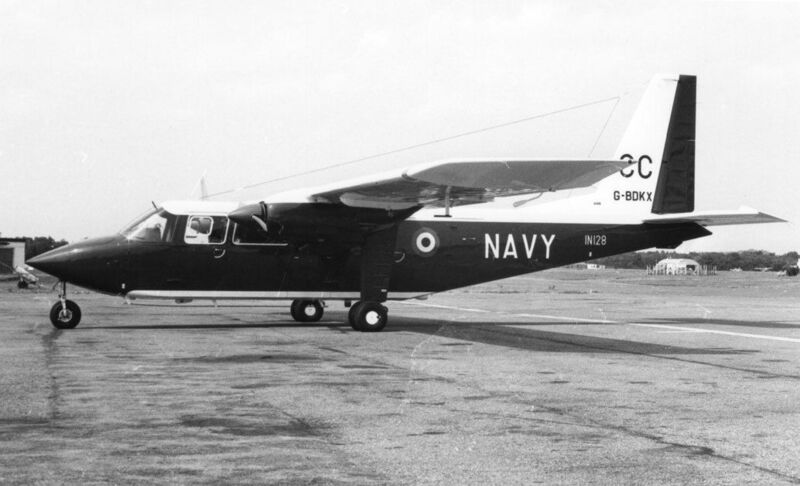 The Cowes-built Saunders Roe amphibious Walrus was nose heavy and difficult to handle once airborne. Another Southampton aircraft ferried by Lettice was the Blenheim built by Cunliffe Owen. She flew these from Marwell airfield. Mostly, she gave the impression of a single-minded individual, focused entirely on the job and on her career. Yet in May 1942 she fell foul of airfield defence at Portsmouth when she decided to take some goldfish, as pets, from the airport lily pond. Planning to keep them in her lodging room at White Waltham, she put three fish into an open topped jam jar. She was stopped from taking more by an airfield official. The fish and pond had all been part of the airport requisition by the Air Ministry, when war broke out. Presumably, she saw taking the fish as an innocent act, harming nobody. What is curious is why she decided to include this minor event in her memoirs. Possibly she used it to illustrate her frustration with petty, needless rules and over-zealous officialdom. Rules that she saw as needing to be broken. There will be many people who sympathise with her. Quite what Pauline Gower made of this incident isn’t known. If it was reported to A.T.A by Portsmouth Airfield Defence, Pauline would not have been pleased, given her sensitivity to publicity surrounding women pilots entrusted to fly Britain’s expensive military aircraft. This was also the time when American female pilots crossed the Atlantic to join ATA. Tremendous publicity surrounded the arrival of the first intake of USA women, under the command of ace pilot Jackie Cochran. Pauline was also advocating equal pay for female pilots. So any adverse media comments would not be welcome. It’s easy to imagine what arch-critic C. G. Grey of The Aeroplane magazine would have said about the flying goldfish incident. He was opposed to A.T.A Women’s Section from the start. Even before the war, his opinion was that women should stay out of the cockpit and in the kitchen. Another insight into Lettice’s rebellious streak originates from her own description of the Hamble ATA girls. She liked them but found they had a “willingness to cling to rigid rules.” Lettice was soon moved to White Waltham at her own request. 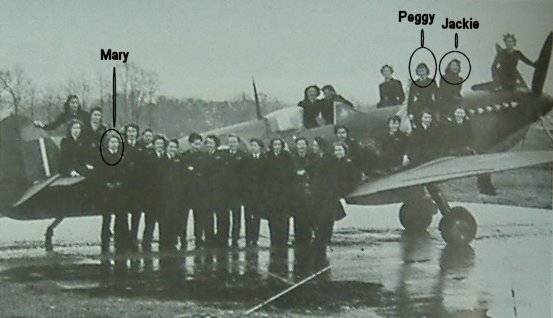 Here she is pictured at White Waltham with, among others, Joan Hughes, Jennie Broad and Naomi Allen. For a full explanation of this photo, go to ATA 70 – Rarely Seen Photograph. During a short return posting back to Hamble, Lettice stayed at the Royal Squadron Yacht Club, where she enjoyed its comfort and proximity to the airfield. 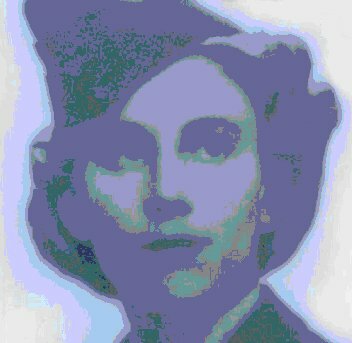 During ‘down time’ she walked the woodland railway track from Hamble to Bursledon where some of the other female pilots rented homes.V.E. 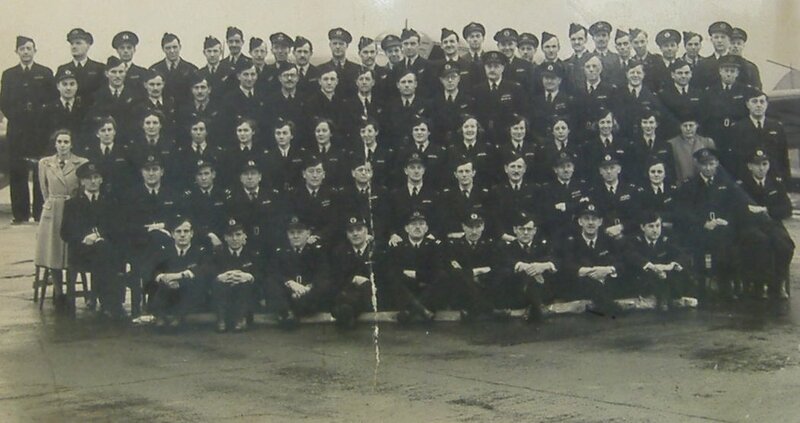 Day on 8th May 1945 marked the beginning of the end of the Air Transport Auxiliary. During her time with ATA, Lettice became the first female to fly the heavy four-engine bombers. She had flown 400 of them by the close of the war. After the war, Lettice was still flying Spitfires on occasion. She was asked to collect a Spit from Supermarine at Eastleigh and fly it to Hendon. It was to be used by the American Civil Air attaché, Tony Satterthwaite. Spitfire N74138 became part of the American Embassy Flight. In August 1948 she flew the very same Spit in her first air race. The route for the race was from Thruxton Aerodrome, near Andover, to a turning point off Totland Bay, Isle of Wight and back again. Satterthwaite raced against her in his Harvard. Lettice won having clocked an average speed of 318 miles an hour. By this time she had amassed about 2500 hours of flying. Bitten by the racing bug, Lettice bought a two-seater Wicko, G-AFJB, from her ex-ATA friend Philippa Bennett. Phil had remained at Hamble after the closure of ATA. Post-war, she set up an air charter company, P.M.Bennett Ltd., at Eastleigh, using the Wicko for air taxi work. Lettice used the Wicko to take part in the 1950 Thruxton Air Race. She also competed in the Royal Aero Club, 200-mile Hurn Airport (Bournemouth) to Herne Bay ‘Battle of Britain Anniversary Race’, on 16th September. Three other women joined her to compete against 72 men. One of the women was ex-ATA Joan Hughes. By 1950 Joan was chief flying instructor at London Aero Club. First prize was £1000. How is that in today’s money? The following year, on 23rd June 1951, Princess Elizabeth and Princess Margaret were at Hatfield Aerodrome to watch Lettice race against British male pilots. Ex-ATA pilot Peggy (Lucas) Grace also competed. By then Peggy was flying instructor at Elstree. Mrs. Zita Irwin of the Windmill Theatre also took part. On 22nd September 1951, Lettice and Peggy Grace took part in the Daily Express South Coast Air Race. Sixty-three aircraft took part in the event organised by the Royal Aero Club. The starting point was Shoreham Airport, Sussex. The route took in Brighton, Newhaven, Herne Bay, Margate, Hastings and finished back at Brighton. The winner took the prize of £1000. The women, including Zita Irwin in a Proctor called ‘Windmill Girl’, flew against Supermarine Vickers Spitfire renowned test pilot, Jeffrey Quill. On 2nd August 1952, Lettice again flew the Wicko in the South Coast Air Race. The first ten finishers won prize money totalling £2250. The first female to finish won an additional £50. Twenty-four years later at the age of 62, Lettice took on a new venture. In May 1976 she was approached to fly a Britten-Norman Islander from Bembridge, Isle of Wight, to Cochin in India. Two Defenders, military version of the Islander, were to be ferried to the Indian Navy. A younger female pilot, Janet Ferguson, was to fly the other Defender along side Lettice. Not one to turn down a challenge and always keen to test her abilities, Lettice accepted, even though she’d never sat at the controls of a B-N Islander before. Janet gave Lettice a brief training session on the day of departure from Bembridge. It comprised twenty minutes of low-level circuits. Janet had either ferried Islanders before or she’d had some prior opportunity to familiarise herself with the aircraft. Janet was an experienced ferry pilot who learned to fly soon after the war ended. She was born when some of the now famous pre-war women pilots were first taking to the skies. When the war ended Janet pleaded for the return of the pre-war Civil Air Guard scheme, so that she could learn to fly. By 1955 she’d held a pilot’s licence for some years. As a member of the Women’s Engineering Society, she helped to form a new organisation called British Women Pilots’ Association. She became secretary. Janet was no stranger to the Isle of Wight. In September 1956, as BWPA secretary, she helped to organise a weekend flying meeting at Sandown Airport. Fourteen visiting women pilots attended. They were welcomed to Sandown by airport manager, ex-ATA pilot Mary Wilkins Ellis, and another resident pilot, Betty McCollough. In 1968 Janet flew a Shoreham built Beagle to Australia. 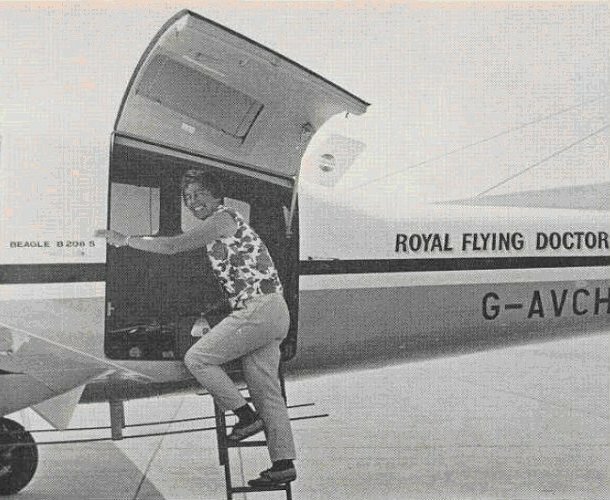 Employed by West London Air Charter Ltd., she delivered Beagle G-AVCH from Gatwick to New South Wales for the Royal Flying Doctor Service. So by 1976, flying an Islander to India was almost a routine job to her. Lettice however, admitted in her autobiography, that she had a sleepless night on the Isle of Wight worrying about the impending flight. Her fears were justified, for next morning a low mist hung over Bembridge. It was in these conditions that she had her practice session in an Islander. Soon after, the aircraft were cleared for take-off, in continuing mist. This was against Lettice’s better judgement but she had no say in the matter. The clock was already ticking. On 12th May they departed and the planes’ certificates for fitness for flight were valid for only seven days. This was the time expected to complete the flight to India. The women wondered what would happen if they failed to complete the flight in one week. They were never told. More importantly, they were never told that the aircraft Indian markings had been covered up with Fablon! Both aircraft carried a British registration number to fool officials at Karachi airport in Pakistan. As India and Pakistan were in dispute with each other, an aircraft with India identification markings that force landed in Karachi, would result in immediate arrest of the pilot. The hope was that if the Fablon came off in flight, that two women would be treated less harshly than male pilots. Just who took the decision to use women pilots and not to tell them of the risks has not been revealed. Lettice never repeated the experience, and given her account of her flight, it’s no surprise. Delays included bad weather and an oil leak. The plan was for the women to keep in sight of each other. Throughout the flight Lettice had difficultly keeping up with Janet. They met up each evening at airports en route. Luckily, they managed to avoid touching down in Pakistan, and landed in Bombay for an overnight stop. Next morning Lettice came up against ‘petty rules’ at the time of take off. Janet left first. The airport insisted on a three-minute interval, for safety reasons, before Lettice took off. The time interval was needlessly too long, in her opinion. She never caught up with Janet, who landed at the Indian Navy Station of Cochin way ahead of Lettice. The flight had taken the allotted seven days. The trip proved two things. The stickibility of Fablon and the stickibility of the two pilots. 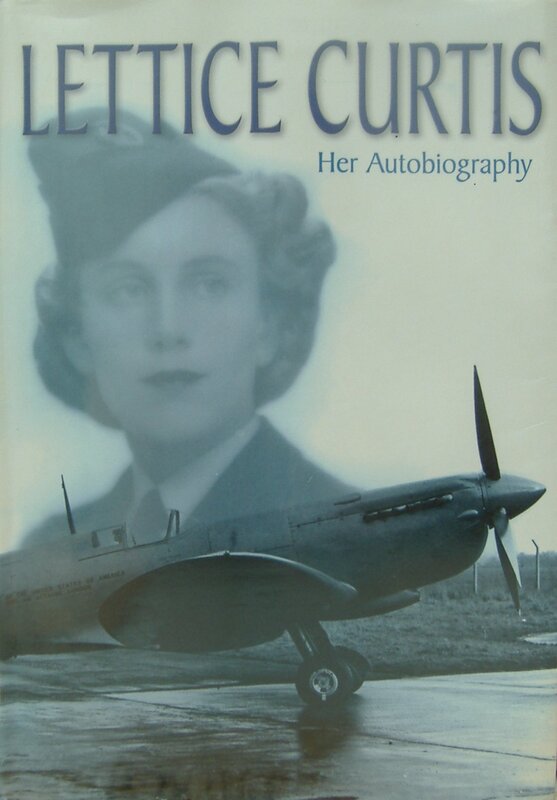 Aviatrix extraordinaire and rule breaker, Lettice Curtis achieved much in her 100 years. Not least, she became a legend in her own lifetime.